William Morrow Paperbacks, 9780062115416, 448pp. If your old life vanished completely, should you try to get it back or create a whole new one? 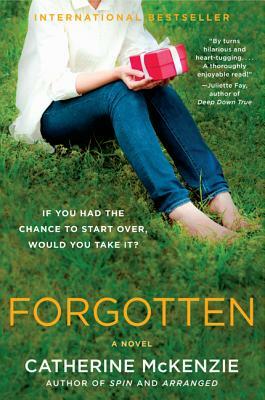 That’s the intriguing question at the heart of Catherine McKenzie’s Forgotten. The smart, funny, and provocative story of a woman who returns home after being stranded for months in Africa by an earthquake only to find that everyone in her life believed she was dead and moved on, Forgotten is captivating and thought-provoking contemporary women’s fiction from the author of Arranged and Spin—a fresh and witty tale that will not be soon forgotten. Catherine McKenzie was born and raised in Montreal, where she now practises law. Her novels Spin, Arranged, Forgotten, Hidden and Smoke have all been bestsellers and have been translated into numerous languages.